In August 2017 a BRC team (Jonas Schärer, Xu Shi and Jaime Escobar) observed an Egyptian Nightjar in the Chorokhi Delta which turned out to be the first national record. An article written by Jonas Schärer and Simon Cavaillès has just been released in Dutch Birding. They detail the Chorokhi observation and summarize all European observations of this nightjar species outside its breeding range. Volunteers from the BRC team visited Chorokhi Delta on their day off today and found an EGYPTIAN Nightjar on the beach. The bird was flushed by a shepherd dog and flew around observers, giving very close views. What a nice bird for the 10th anniversary of the BRC! And what a nice follow-up after the observation of a male Black-crowned Sparrow Lark in 2015 at the same place. Congrats to Jonas Schärer, Xu Shi and Jaime Escobar Toledo for this stunning bird...! This represents the first observation for Georgia, a new bird species on the country list! The next day(27/08/2017), another team visited the Delta today to give a try to the nightjar. The birding day was very rich, with high diversity and good birds. 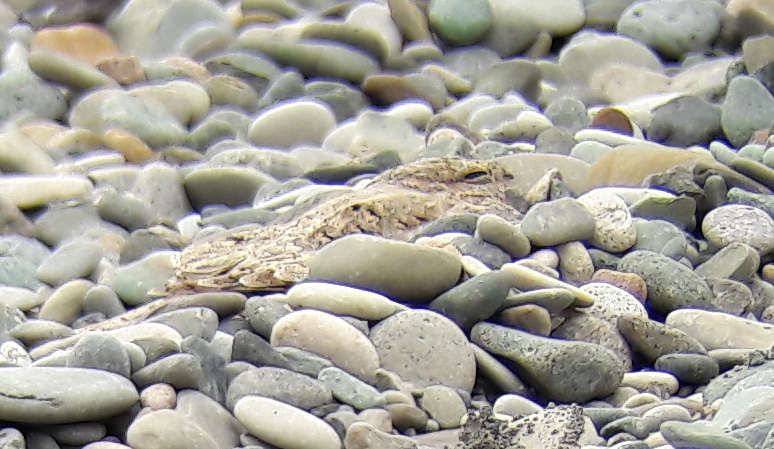 First, the Egyptian Nightjar was at the same place as yesterday, still sitting in the beach pebbles! 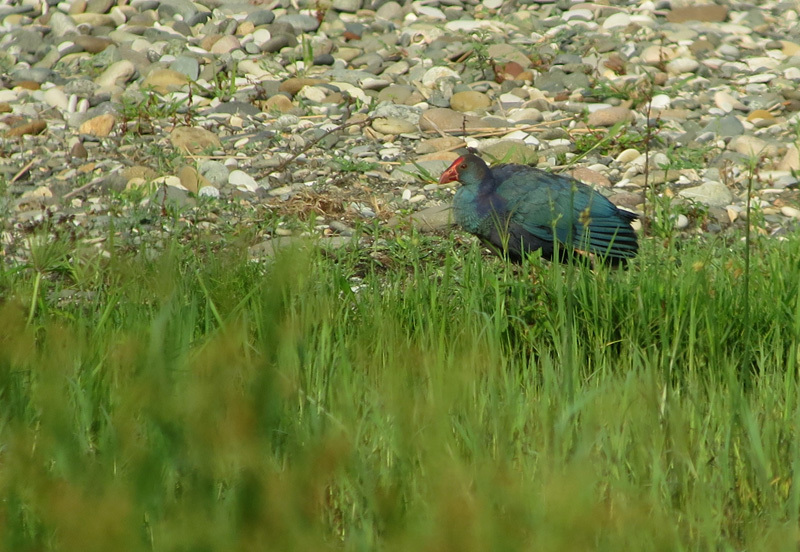 We could get better pictures of the bird and enjoy close views of this more than unexpected species. Also the Delta was literally filled with shrikes, wheatears and wagtails. Hundreds of them all over the place. Visiting this place before hunters invade the Delta is really enjoyable, it reveals the full birding potential. Some of the good species we could see were Booted Warbler (1), Rosy Starling (2), Purple Swamphen (2), Little Crake (4-8 individuals), Caspian Tern (1) and more. On the way back an Eastern Olivaceous Warbler in Batumi center was a nice cherry on top of the cake. About half of the world’s shorebird populations are in decline, and the rate of habitat loss is worse than ever before. The World Shorebirds Day aims on raising public awareness about the need to protect shorebirds and their habitats throughout their life cycles and about the need for ongoing shorebird research. This year 756 registered locations worldwide participated in the event. Sabuko, Society for Nature Conservation Georgia, was one of them. We decided to focus on the threatened Chorokhi delta along the Eastern Black Sea Coast flyway at Batumi, Georgia, and conduct a shorebird count there. On 05/09 we celebrated the Wordl Shorebirds Day with a team of volunteers of the BRC and headed out to the Chorokhi delta. Our plan was to look in the morning in Batumi for passerines and afterwards, when it was too hot for passerines, to go to the delta where we would focus on waders and crakes. When we arrived at the delta around 9:30 a.m. it was already pretty hot, but that did not distract us from the quest. Some highlights upon arrival in the delta were squacco heron, citrine wagtails and lesser grey shrikes. An unpleasant sighting however were the numerous hunters and shot birds we encountered on our way to the beach. We saw some hoopoes and turtle doves shot dead and wounded purple herons and glossy ibises. At the beach we came to well suited areas for waders. There we observed black-winged pratincoles, temminck’s stints, little stints and broad billed-sandpipers. After checking the waders it was so hot that we went for a swim in the Black sea. 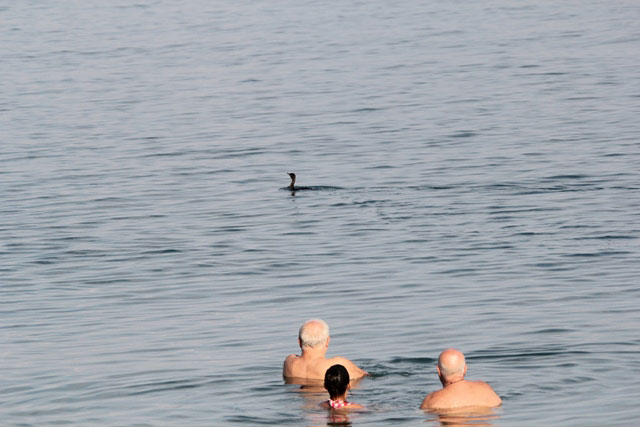 The water was refreshing and we only swum 15 meters away from a red-necked-grebe. Before we had to head back, we hurried to the ponds which are well suited for crakes. At the ponds we saw a little crake, several short-toed larks and a red-necked phalarope! We could approach the phalarope up to 2 meters and thus had very close looks on it. On the way back to the bus we saw a cattle egret and ruddy shelducks. We were all tired of the exhausting day but satisfied as well. Without rushing to see as much species on one day, we still saw 74 species.